Within Firefox, Opera and Internet Explorer, you can right-click an image and select View Image Info or Image Properties and easily find the image dimensions and image file size. Unfortunately Google Chrome does not support anything similar. The only way you could find out image dimensions in pure Chrome is by opening Developer Tools and finding image inside resources tab. While this does work, it takes a lot of actions to get to that information. 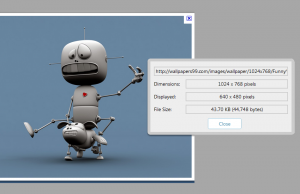 What is the alternative to viewing image size in developer tools? The alternative is installing one of the extensions from Chrome’s web store. 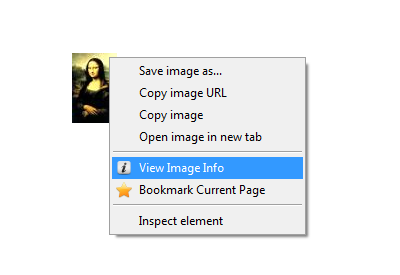 I wrote an extension called “Image Size Info”. This extension will tell you image file size and image dimensions (both native and currently displayed). 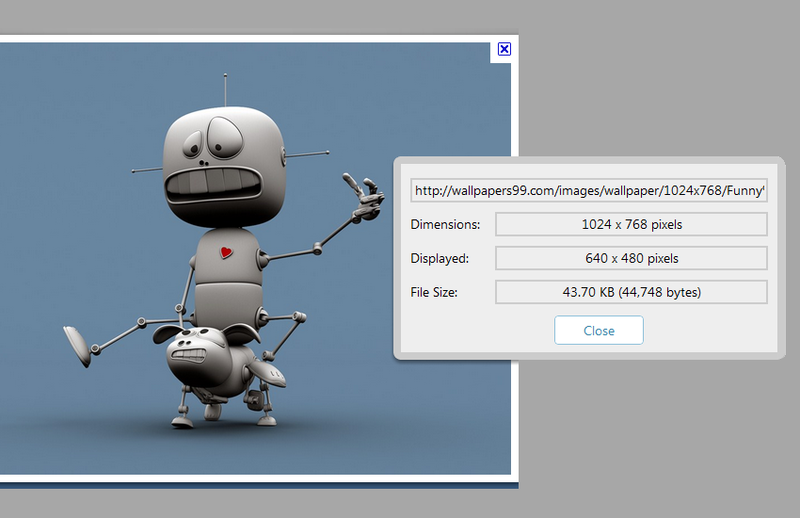 View more information, features and download extension for Chrome on my page Image File Size.